"Normal" is something I could only dream of being called. "Mental" or "screwed up" is what I'm labeled. But actually feeling other people's pain does that to a girl. I'm not an empath. I'm crazy! That is, until I meet one guy who makes it all go away. The problem is, he's even crazier than me. At least I thought that in the beginning, before the coincidences became undeniable. But, if what he was saying were true, he would not only become my savior, he would also open my eyes to a world filled with angels, demons, witches, and an ancient curse. As the man in charge at Ravenswood Ranch, Shane Nelson has never been afraid to get his hands dirty. His sculpted physique isn't the product of a gym, but of years of hard labor under a relentless sun. His straightforward, alpha tendencies come from a man who knows what he wants and goes after it - and what he wants is Rachel Waters. He's never stopped wanting her. They were childhood best friends, then teenage lovers who evolved into soulmates. But on one fateful night, Shane made a grave mistake, breaking both their hearts in the process. Now, after six years, Rachel is back. Yara Phillips is a wandering muse. She dates men who need her, but always moves on to something new, never staying in one place for very long. David Lisey is in need of a muse. A talented musician lacking lyrical inspiration. When he first sees her, he knows he's found what he's been seeking. Yara believes she can give David exactly what he needs to reach his full potential: a broken heart. After the factory closed, leaving me and a good portion of the town unemployed, I took a job managing Scarlet Toys. I knew it wouldn't be a typical work environment, selling adult toys in a town more uptight than a constipated nun, but some things you just never see coming. Like the allure of the man standing in the center of all the chaos. Wyatt Lawson, a six-foot-four-inch heap of muscle with a quick smile, ignited my interest in more than the available manager position. Like the missionary one. Or the rodeo. Maybe the side rider. What can I say? I'm an overachiever. Who is really the monster? For 13 years, Gracen Sullivan dreamed about a red-eyed demon named Hart Blackwell who tortured her every night. Her mother freaked when she found out about her daughter's "hallucinations" and forced Gracen to go to the doctor, who prescribed some very powerful medication, which kept Hart out of her head for five years. A week ago, Hart came back and brought a friend. But something has changed, and Gracen is seeing Hart when she's awake too. And the other "friends" in her dreams? They have been found dead. The police want to talk to her. Her boyfriend has become distant. Her dreams are becoming more and more intense. Heaven has to stop her. When push comes to shove, can Gracen fight the evil eating away inside her or will she be forced to embrace it and destroy the world? Julie Hinton nailed this performance. What made the experience of listening to Heartless the most enjoyable? 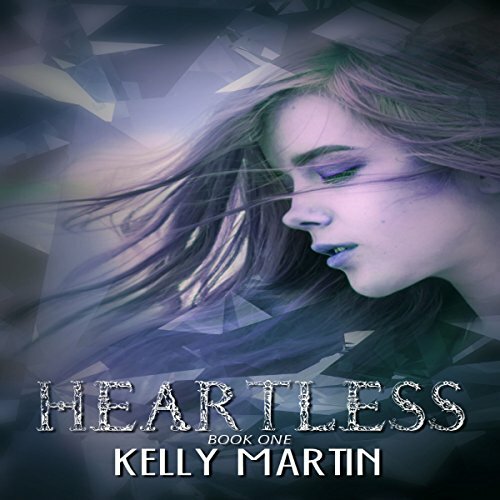 Kelly Martin has written an extremely dark and twisted story in Heartless. The narrator, Julie Hinton, made this book leap out in front of me. She embodied the MC connecting me to her and her emotions. Have you listened to any of Julie Hinton’s other performances before? How does this one compare? 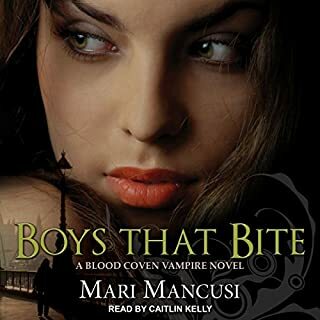 This is the first audiobook I have listened to that was narrated by Julie Hinton but she is definitely on my radar now. Her performance was fantastic! This was my first experience with the author, Kelly Martin's, work. OMG is she dark and twisted. I look forward to finishing this series. 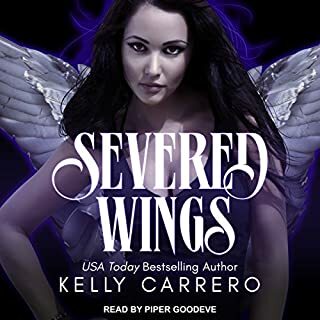 Supernatural, Mystery, Heaven and Hell, Angels and Demons (and worse), Civil War, Family Drama, Lies and Betrayal, Suspense, Spells, Epic-Save-the-World-from-the-Bad-Guys theme, a little bit of love and conflicted emotions... This book has some of all of that. If you like just about anything in books, then pick this series up. You'll find something in there that you will like. What about Julie Hinton’s performance did you like? Julie Hinton was the narrator for the audio book. I've seen enough of Kelly's Facebook videos that I kind of know her voice. 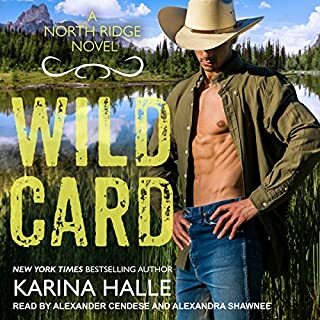 The first time I heard Julie Hinton start out in the first chapter of this book, I immediately thought, "Wow! She's reading it like Kelly would." She has that Southern drawl, which is perfectly fitting for the Southern characters. But she keeps her voices for characters different, distinct, and consistent. There is little higher praise than that for a book narrator. So I read/listened to this book and finished it exactly one year after my wife, Rachel did. 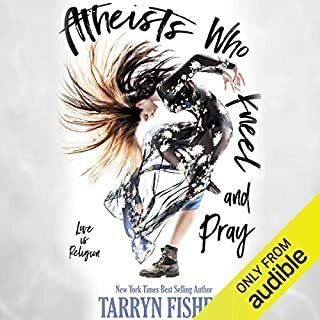 Rachel purchased a copy of her audio book through Audible for me months ago and I just finished listening to it, and I'm looking forward for the next audio books. Kelly, I'm sorry this one took me so long to complete. I was busy, you know, like getting my CPA busy. But the wait is over, and my review is here. One of the things I found slightly irritating was the excessive soliloquies, where the character was thinking in their head (or sometimes having a conversation mentally, but... well that's okay). I mean, a normal person can't possibly have five or more separate thoughts after every line of dialogue in a conversation. I think this was more of a writing style of Kelly's than anything else, and it has its advantages. You really get the feel for what the characters 'feel' when exposed to new information. And in a sense we do have these emotional reactions during conversations, they just happen in the blink of an eye, and are not well thought out sentences in our head. That instant reaction to emotion is difficult to convey in a book without words, so it is very helpful in that regard. I think I was just not used to the writing style that she uses, and found it a slight distraction from the scenes in the book. The epilogue presents an obvious question: "How can Gracen be...?" Spoilers. Which, of course, is easily solved by reading the next book in the series. And one that I think I will, as soon as the audio book comes out. I'm looking forward to it. For now, this one gets 4 stars from me. Keep reading, and may your dreams be Hartless.